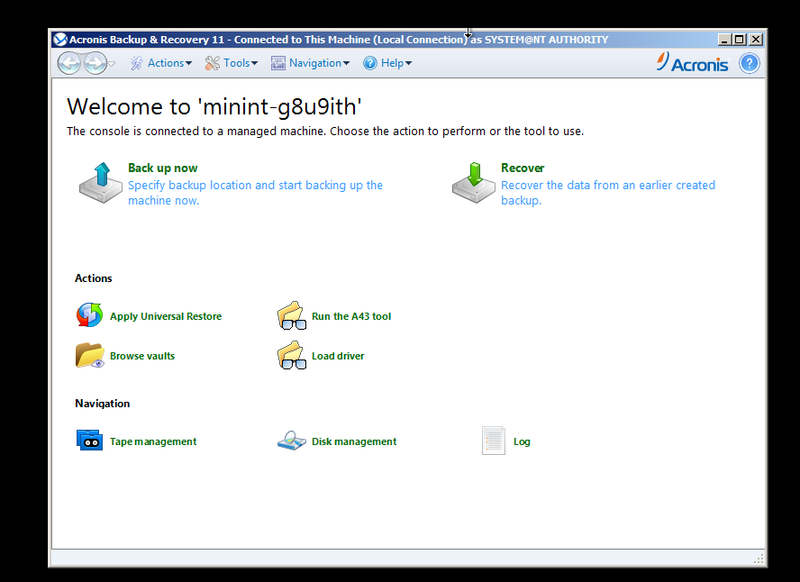 Acronis Plug-in for WinPE is a modification of Acronis Agent for Windows that can run in the preinstallation environment. 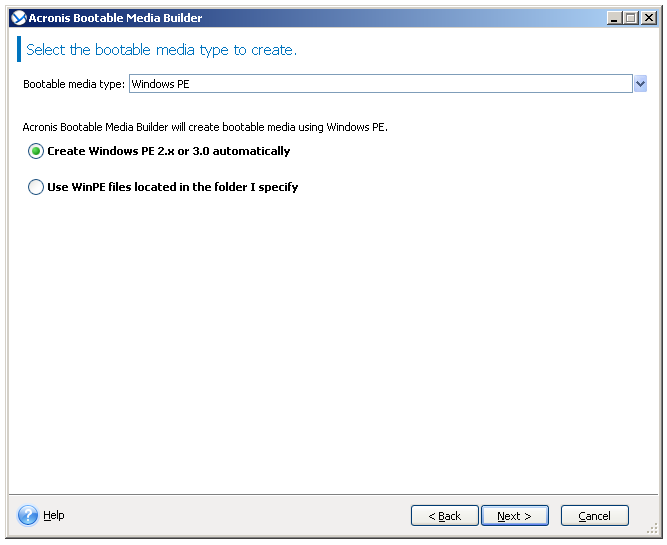 The plug-in can be added to a WinPE image using Bootable Media Builder. 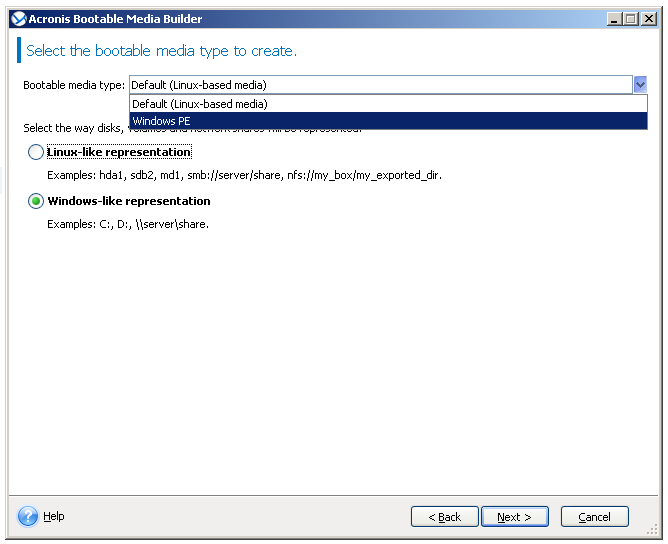 The resulting bootable media can be used to boot any PC-compatible machine and perform, with certain limitations, most of the direct management operations without help of an operating system. 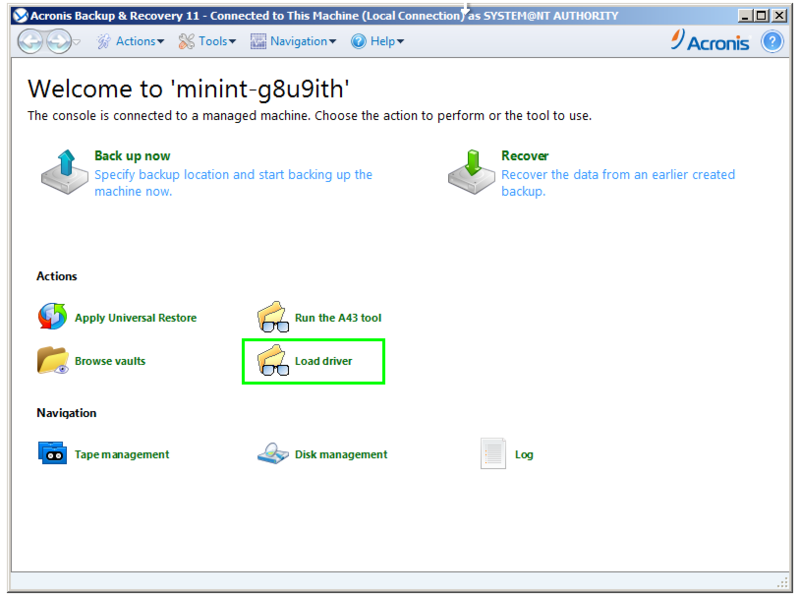 Operations can be configured and controlled either locally through the GUI or remotely using the console. 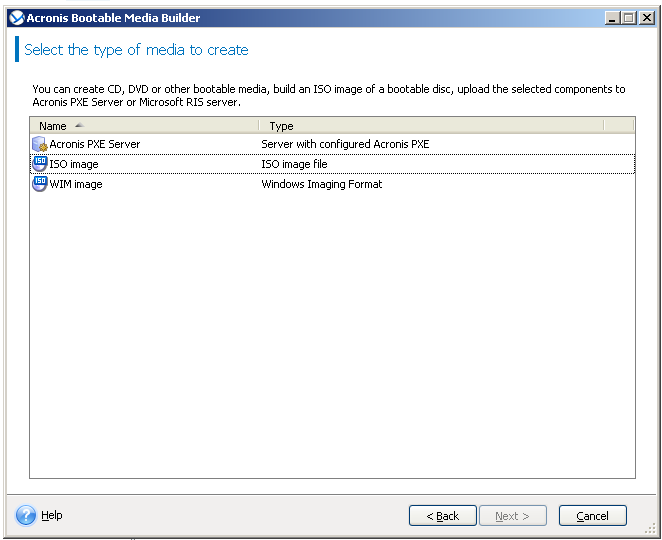 If you have Windows Automated Installation Kit (AIK) or Windows Assessment and Deployment Kit (ADK) installed on the same computer with Acronis Bootable Media Builder, Acronis Backup will detect it, and you will be able to have the WinPE created from Acronis Bootable Media builder. 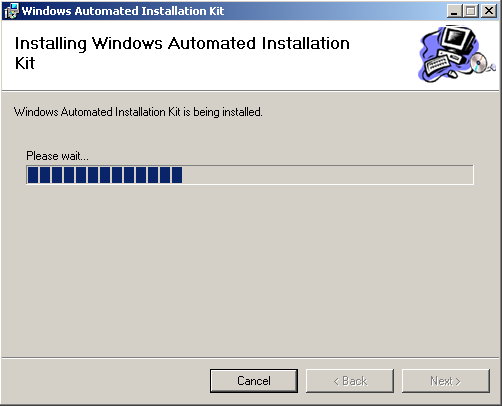 PE for Windows 10: launch the installer for ADK and follow the wizard's steps.Then launch Windows PE add-on for the ADK and follow the wizard's steps for installation. 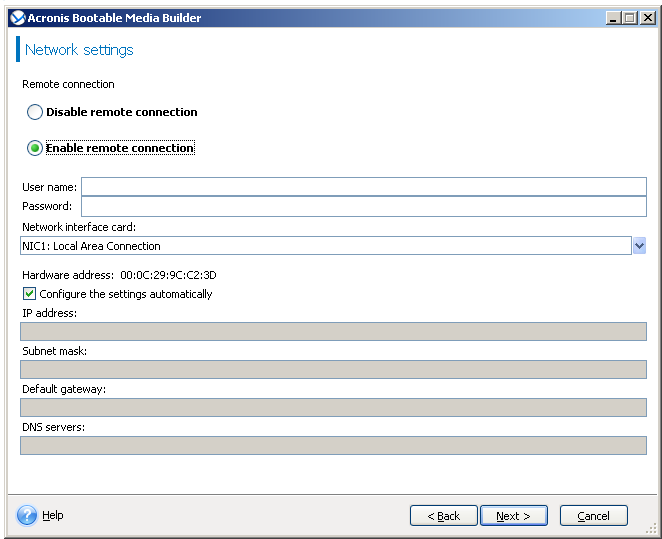 After installing both components, proceed to media creation. 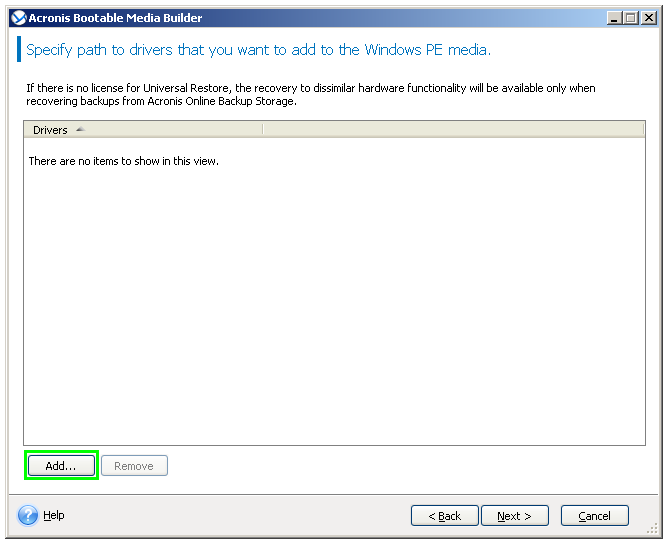 (!) 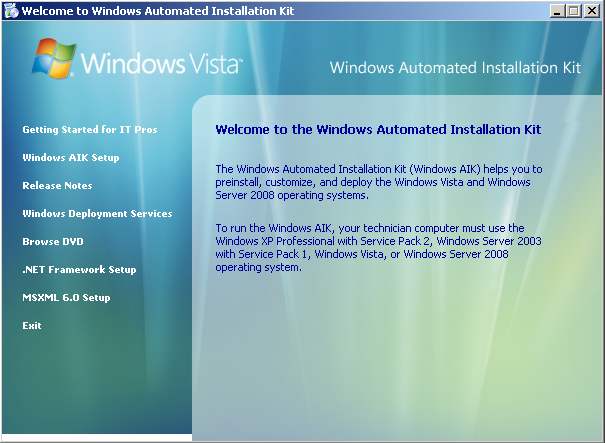 Reboot the machine after the installation of Windows AIK, otherwise Acronis Backup will not be able to detect it properly and the creation of the WinPE media will fail. (!) 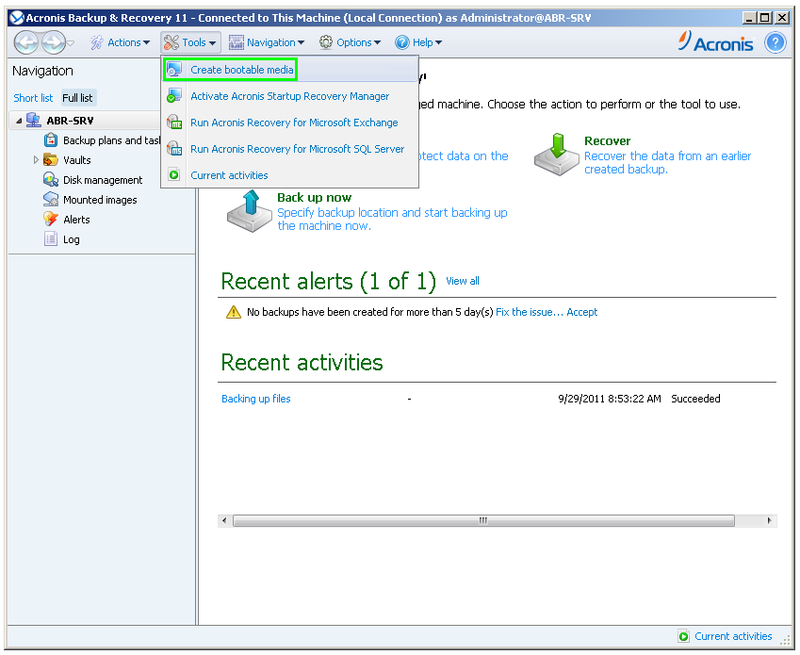 Network connection settings are not available in Standalone versions of Acronis Backup.